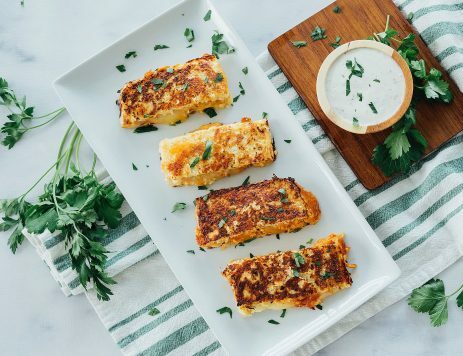 Grilled Cheese Recipe with Bacon Jam | What’s For Dinner? 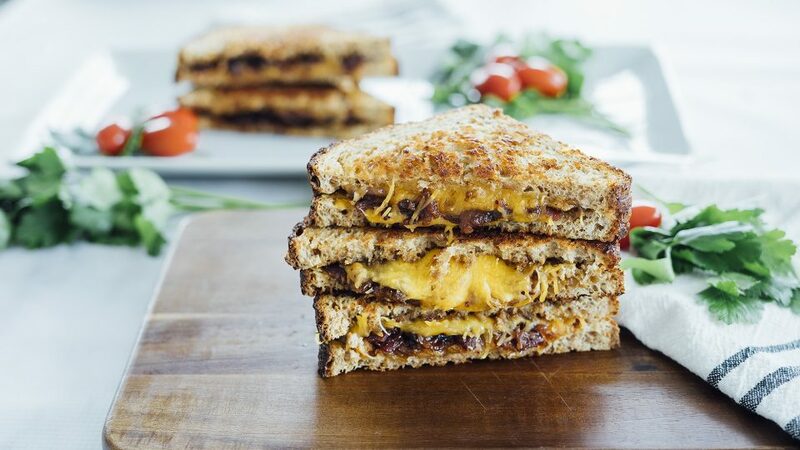 Combine sharp cheddar cheese and savory bacon jam between Angelic Bakehouse® 7 Whole Grains Bread for the ultimate melt in your mouth combination. Heat a large cast iron pot over medium-high heat. Add bacon and cook until fat has rendered and bacon is slightly crispy. Keeping bacon in the pan, remove and discard some of the fat, leaving about 2 to 3 tablespoons in the pot. Add onion, garlic, balsamic vinegar, brown sugar, and chile flakes to the pot and stir to combine. Bring to a simmer, cover, and cook until mixture has reduced and becomes thick, about 30 to 40 minutes. Season with salt and pepper. Set aside to cool, then place in an airtight container and store in refrigerator until using. To assemble sandwiches, place 4 slices of bread on cutting board or work surface. Top each bread slice with bacon jam, cheddar cheese, and another slice of bread. Heat skillet over medium heat and coat the bottom with butter. 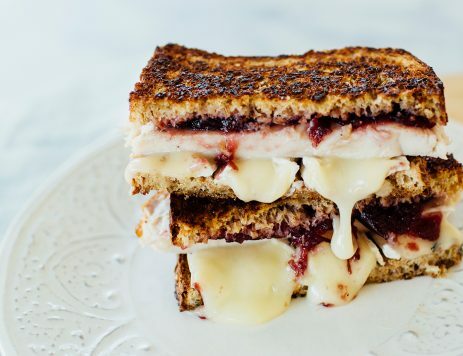 Cook 2 sandwiches at a time until cheese is melted, about 2 to 3 minutes per side. Lightly butter the top slice of bread and flip to cook the other side. Remove sandwiches to a cutting board and slice in half. Serve grilled cheese hot.